Ash Gaming is a specialist game development unit within Playtech, Playtech are the worlds largest online casino software supplier and supply the likes of William Hill, Betfair, Titan, Vernons, Betfred and Mansion. The games from Ash Gaming are usually fresh and exciting, but to be honest this one is a bit of a let down! 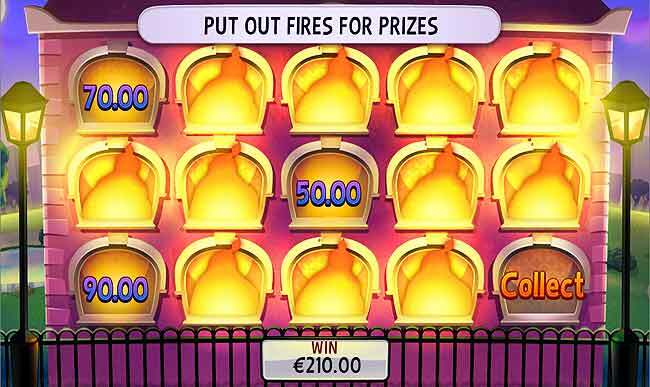 At first glance this 20 payline slot game seemd really promising. The graphics are nicely done and the layout is pretty cool. You are faced with an apartment block with 15 windows. Each window reveals the symbols for the game. Before each spin the blinds on each window drop, the reels spin, then the blinds open.. This is the first strange thing, what are the blinds for, what value do they add? It makes it quite "cool" in the sense of "hey look the blinds open and close on every spin", but in reality it is annoying and wastes time, just spin the reels ffs. The next problem with the game is that it is really boring to play. There is no action or fun. Another annoying point is the autoplay, you choose the amount of autoplay spins to take, or you can choose to autospin until the feature arrives. The fact is that no matter how many spins you choose your spins will stop when the feature is reached, a real buggy game. Another down point is that there are no exciting symbols to watch for. There are no SCATTER or BONUS symbols. Each symbol represents what is going on inside the appartment. It maight be an old lady, a cat, a vase on the window sill. There is the wild symbol which is the only reach for slot normality that I can find. There is a kind of BONUS game. At random you may get a flame appear in one of the windows. I did some research and at one point a made over 400 spins without the flame appearing once. When the flame does appear it will jump to others to start and inferno, the more it jumps to the better because a fireman arrives to put out the fire and turns all flaming windows to either a WILD, a WIN or a BONUS. The more symbols for WILD or WIN are better because a win is a cash prize behind each window. 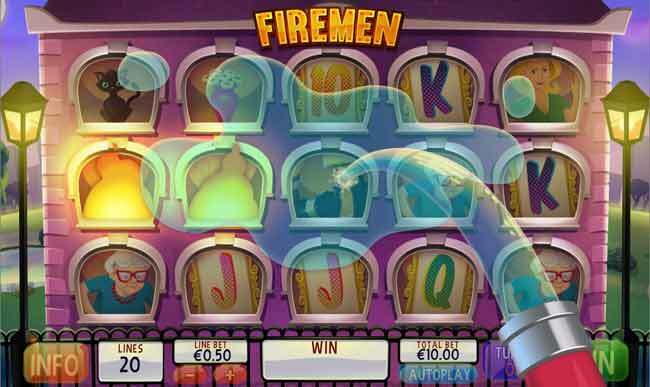 The bonus shows all windows on fire and you control the fireman to put the flames out. Each one extinguished is a cash prize until you hit the COLLECT window. A very dissapointing game from one of the best slots developers around. Not the worst ever but pretty damn slos. Keep spinning on max bet for the best results. Hit the "PLAY NOW" button below to play for real with a huge free spins and cash match welcome bonus.